Parliamentarians should consider the precedent being set before supporting government amendments to the Access to Information Act that would protect the RCMP retroactively from prosecution for destroying long-gun registry records, Canada's information commissioner says. 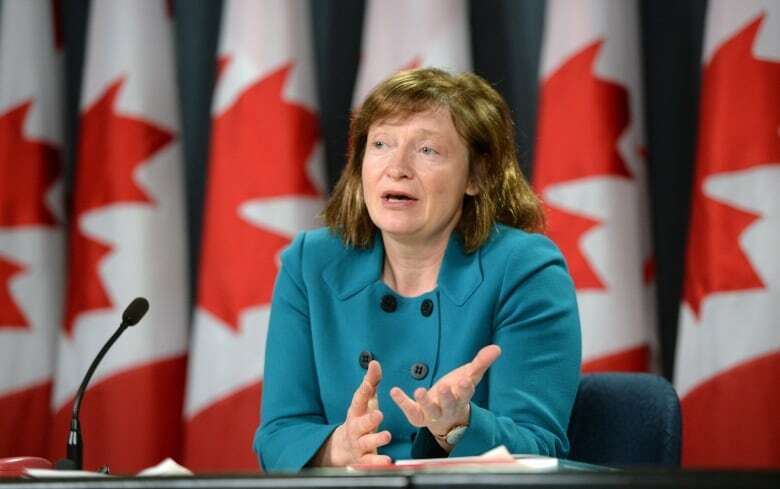 Parliamentarians should consider the precedent being set before supporting government amendments to the Access to Information Act that would retroactively protect the RCMP from prosecution for destroying long-gun registry records, Canada's information commissioner says. "I think when this bill is being debated and when this bill is voted upon in Parliament that each parliamentarian has to look at himself or herself in the mirror and decide whether their integrity allows them to vote for this bill," Suzanne Legault told CBC News in an interview. Legault accuses the Mounties of destroying registry records after she told them to preserve the data while she investigated a complaint from a requester who asked for the information. She is taking the government to Federal Court over the matter. Legault says the request was made in early 2012, before a law was enacted to destroy the long-gun registry records, and that the RCMP was obligated to preserve the records. "If anyone acted knowingly, knowing that there was an Access to Information request for those records and a complaint, they did not act legally, in my view," Legault said. The commissioner wrote to Justice Minister Peter MacKay in March, asking for an investigation into alleged illegal destruction of government records, a criminal offence set out in the Access to Information Act. MacKay has not responded, but last week the government introduced amendments to the law that would retroactively protect long-gun registry records from access requests, back to 2011. It would also protect the RCMP and other government officials from any lawsuits or prosecutions. Legault said MPs should consider what kind of precedent this sets for Canada's democracy. "Because this could have been done, you know, to erase the authority of the auditor general in 2005 when she was investigating the [former Liberal government's] sponsorship scandal," she said. In an interview airing later Thursday on CBC News Network's Power & Politics, Legault expanded on the ramifications of passing these amendments. "What this does is that it erases the right of the requester to have ever made this request. It erases the right of the requester to have ever complained to my office. It erases all of the investigative powers that I have used during this investigation. And it erases the referral that I have made to the attorney general of Canada. And it erases the recommendations I have made to the minister. "What these provisions do is they actually erase any potential administrative, civil or criminal liability for any actors involved throughout the investigation and in the destruction of those records in contravention to the Access to Information Act." Legault also noted that when the Conservatives came into power in 2006 they split responsibilities between the attorney general and the director of public prosecution because they were concerned about potential conflicts of interest. But the Access to Information Act was never changed, she said, meaning she still has to refer matters to the attorney general. The attorney general is a member of the federal cabinet, and is usually also the justice minister. "In this particular instance I think it certainly raises questions as to whether or not the attorney general of Canada is in a conflict of interest," Legault said. Prime Minister Stephen Harper said Thursday Legault's investigation merely found a "loophole" in the law, and that the government will close it soon. "An argument has been made that there are elements in the information act, the Access to Information Act, that contradict something in that other piece of legislation. At best that is a loophole," he said at an event in Windsor, Ont. "I'm not sure there really is a contradiction, but to be perfectly clear, the government is clarifying the information act to make sure it is in full conformity with Parliament's already expressed wishes on the long-gun registry that the RCMP has executed as they were required to do according to the law." The RCMP also rebuffed Legault's accusations, saying it did nothing wrong. "The RCMP disputes the OIC's (Office of the Information Commissioner's) view that it denied a right of access under the Access to Information Act by destroying records that were responsive to the request," Sgt. Harold Pfleiderer said in a statement. "The RCMP would vigorously defend against any accusation of unlawful conduct in respect of the handling of this Access to Information request." Long-gun registry records were largely destroyed by Oct. 31, 2012, with the exception of Quebec records, which were destroyed on April 12 this year after that province lost a long court battle with Ottawa. Legault also wrote to Public Safety Minister Steven Blaney in March, recommending he order the RCMP to deliver more records to the requestor. In a response, Blaney declined to do so, saying the Mounties believe that they have responded fully to the request. Blaney also said the RCMP have preserved some long-gun registry records, as Legault had asked them to do, while the investigation continues. Those records, however, are not available to any police force or to any firearms officers. Legault said Thursday she is taking the government to Federal Court over the matter, though she does not have the power to lay criminal charges and can only ask a judge to review Blaney's decisions.